The information contained in this website is for general information purposes only. The information is provided by Dottore London Ltd. and whilst we endeavour to keep the information up-to-date and correct, we make no representations or warranties of any kind, express or implied, about the completeness, accuracy, reliability, suitability or availability with respect to the website or the information, products, services, or related graphics contained on the website for any purpose. Any reliance you place on such information is therefore strictly at your own risk. Through this website you are able to link to other websites which are not under the control of Dottore London Ltd.. We have no control over the nature, content and availability of those sites. The inclusion of any links does not necessarily imply a recommendation or endorse the views expressed within them. Every effort is made to keep the website up and running smoothly. However, Dottore London Ltd. takes no responsibility for, and will not be liable for, the website being temporarily unavailable due to technical issues beyond our control. Dottore London Ltd. is committed to ensuring that your privacy is protected. Should we ask you to provide certain information by which you can be identified when using this website, then you can be assured that it will only be used in accordance with this privacy statement. Dottore London Ltd. may change this policy from time to time by updating this page. You should check this page from time to time to ensure that you are happy with any changes. This policy is effective from 25/05/2018. when you use our Site to make enquiries or bookings. when you contact us directly via email, phone, message and post. We are committed to ensuring that your information is secure. In order to prevent unauthorised access or disclosure we have put in place suitable physical, electronic and managerial procedures to safeguard and secure the information we collect online. To ensure the security of the data that we share with you, Dottore London will be adopting an encryption process using password protection on any documents/spreadsheets containing personal data. Information that we collect will be retained for as long as needed to fulfil the purposes outlined in the ‘What we do with the information we gather’ section above, in line with our legitimate interest or for a period specifically required by applicable regulations or laws, such as retaining the information for regulatory reporting purposes. Otherwise, we securely erase your information where we no longer require your information for the purposes collected. The information we collect about you will be transferred to and stored on our server located within the EU. We are very careful and transparent about who else your information is shared with. We share your information with the doctor or therapist you’ve booked the consultation with and if necessary with the medical leads of specific medical areas. If you believe that any information we are holding on you is incorrect or incomplete, please email us as soon as possible, at info@dottorelondon.com. We will promptly correct any information found to be incorrect. Dottore London Ltd. is not responsible for the services offered by our doctors. 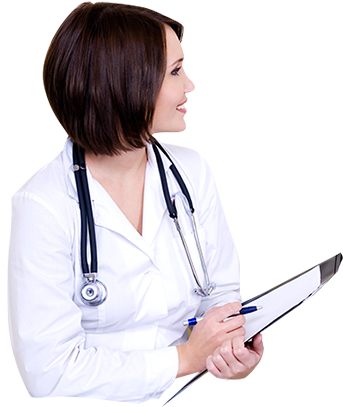 Dottore London Ltd. provides patients with private consultations from qualified doctors who work as consultants for Dottore London Ltd. They are not Dottore London Ltd.’s employees and they are responsible for the services offered to our patients. On receipt of a written complaint an acknowledgement will be sent confirming receipt and saying that a further response will be sent within 30 days following an investigation of the issues. It will also say who is dealing with it i.e. doctor or registered manager. If it is not possible to conclude any investigations with in the 30 days then the patient will be updated with progress and possible time scales. It may be that outside sources will need to be contacted and if that is the case then a patient consent form will need to be signed to make such a request.